The Simplicity Series is the perfect solution for the beginner water gardener wanting to Get Your Feet Wet with a maintenance free fountain. We designed the Simplicity Series water features to be available to all at an economical price point, but still allow the enjoyment of the water feature lifestyle. 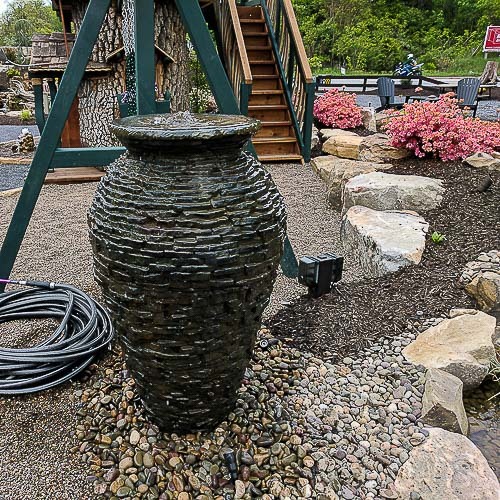 The Simplicity Series includes 3 versions of fountains; Aged Copper Bowls, a Stacked Slate Urn, and a small Bubbling Rock. 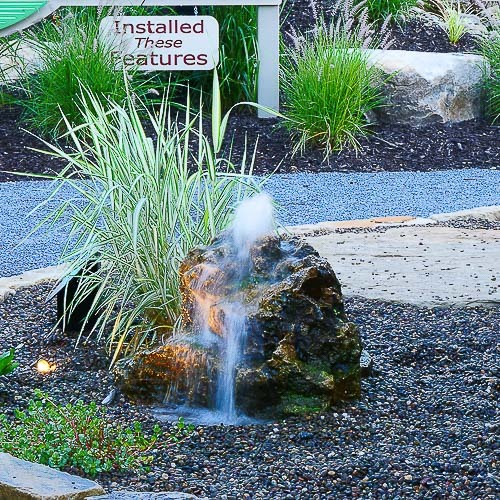 We install these water features for Altoona, State College, Johnstown, and Bedford area homeowners. 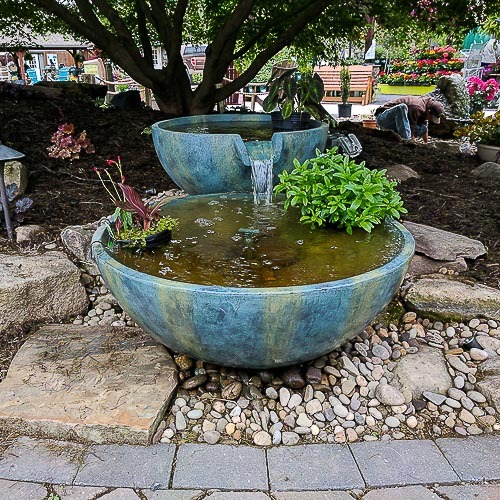 Tussey Landscaping was the recipient of the Aquascape Top Frog Award in 2015, recognized as the top water feature contractor worldwide. 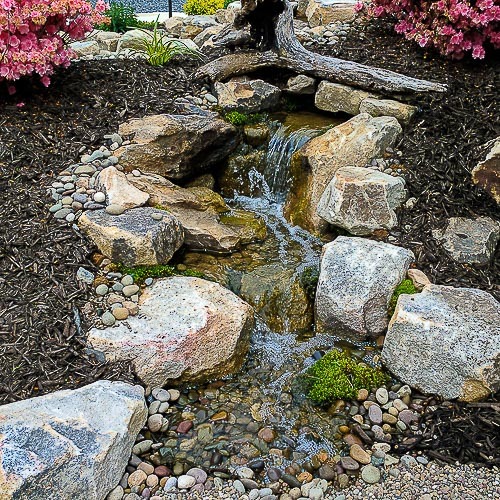 Browse our full line of water features in the Project Planner!